Hungry Howie’s Menu Pizza and Subs, Inc. is an American Pizza chain. This franchise is amongst the top 10 pizza chains of the country and is the 11th largest pizza chain. Hungry Howie’s Pizza is known for their flavored crust pizza which is their unique style. 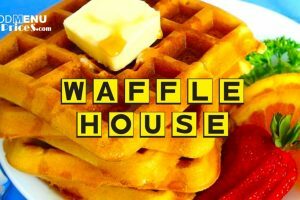 They have over 580 locations all over the country. Other than pizzas, Hungry Howie’s is also known for their chicken wings, calzone-style subs, chicken tenders, salads, and brownies. Hungry Howie’s Pizza has their headquarter located in Madison Heights, Michigan in Metro Detroit. Hungry Howie’s Pizza has been promoting themselves as the home for the ‘Flavoured Crust Pizzas’. Flavored bread is not the original idea of the brand but the owners studied the process of making and tastes different flavored pieces of bread in the 1980s and finally came up with eight different flavored crust in 1985. Moreover, the pizza chain has been working for spreading awareness and raising funds for National Breast Cancer Foundation, NBCF, since 2009. Hungry Howie’s Pizza has started their ‘Love, Hope and Pizza’ campaign where they turn pizza boxes pink in the month of October and for every pizza sold they make a donation to the National Breast Cancer Foundation, NBCF. Hungry Howie’s Pizza has already donated over $1.8 million to the foundation till date. Below are the latest “Hungry Howie’s Menu Prices”. BBQ CHICKEN PIZZA: This pizza is made with your choice of crust and is topped with Sweet BBQ Sauce, Grilled Chicken Breast, Red Onions, Bacon and Mozzarella cheese. Being one of the most ordered pizza, this pizza is very delicious and gives you an amazing experience of contrasting tastes. HOW SPECIAL PIZZA: Howie’s special pizza is one of their best creation. This pizza is topped with Pepperoni, Ham, Fresh mushrooms, Onions, mozzarella cheese and green peppers. This pizza is suggested to be ordered with the Butter Cheese Crust. BACON CHEDDAR CHEESEBURGER PIZZA: this is an absolutely marvelous creation by the Hungry Howie’s Pizza. This pizza is topped with Ground Beef and Bacon along with Cheddar and Mozzarella cheese. This pizza tastes well with the onion crust. This pizza is said to be like having a classic American cheeseburger on a pizza. STEAK, CHEESE AND MUSHROOM SUB: this is one of the largest sub available at the Hungry Howie’s Pizza. It is made with the thinly sliced marinated steak, fresh mushrooms and mozzarella cheese which is served with a side of Italian dressing. PIZZA DELUXE SUB: this sub allows you to have three topping of our choice and is served with lots of mozzarella cheese and pizza sauce. This sub is like tasting a pizza in between buns. The Hungry Howie’s Pizza is known for their high-quality standards and for maintaining hygiene in their kitchen. The customers are never dissatisfied with the hygiene or the quality of the food they were served at the Hungry Howie’s Pizza. The pizza chain makes sure that the ingredients they use in the preparation of their pizza are fresh. Moreover, the service and the staff is dedicated to providing a friendly and calm environment for the customers who visit the restaurants. This place is very good for kids and family. 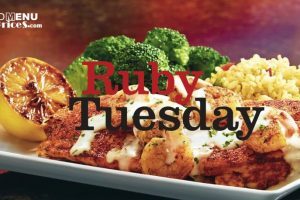 The pizza chain offers much more than just pizza, customers can order from a variety of option of rolls, calzone subs, salads and more. The pizza chain offers a variety of flavored crust in their pizzas and even offers to combine several flavors into a single crust. Currently, the flavors which are available at the Hungry Howie’s Pizza are ranch, butter, sesame, onion, garlic herb, butter cheese, Italian herb, and asiago. These varieties of flavors in the crust has caused the Hungry Howie’s Pizza to stand out in the competition and to become one of the leading pizza chains in the country. The best part about the flavored pizza crust is that the customers are allowed to add the flavored pizza crust for no additional cost of the pizza. Hungry Howie’s Menu Pizza provides their customers with hot and tasty pizzas which are perfectly cooked and they all come in a very generous portion. The place is very affordable to start with. The maximum you will have to pay is $20 for an extra large pizza which is capable of serving 6 persons. The Hungry Howie’s Menu for kids starts from $3 and the items other than pizzas start from $4 at the Hungry Howie’s Pizza. Other than affordable process, the online service of the Hungry Howie’s Pizza frequently provides the customers with several offers and coupons. The Hungry Howie’s Pizza was first started in 1973 by James Hearn at Taylor, Michigan. The food corporation was supported by Steve Jackson who used to delivered pizzas for Hearn. Howie’s Pizza became a very place to hang out very soon due to being located near two of the very famous schools of the time. In 1982, Hearn decided to partnership with Jackson and begin franchising their operation. It took no time to get their business run very fast and it reached very profitable scale. 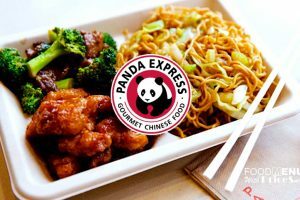 They soon expanded themselves to 65 locations in just 3 years of starting their franchising. There are currently more than 580 locations of Hungry Howie’s Pizza in 21 states of the country with the plan to expand themselves even further. 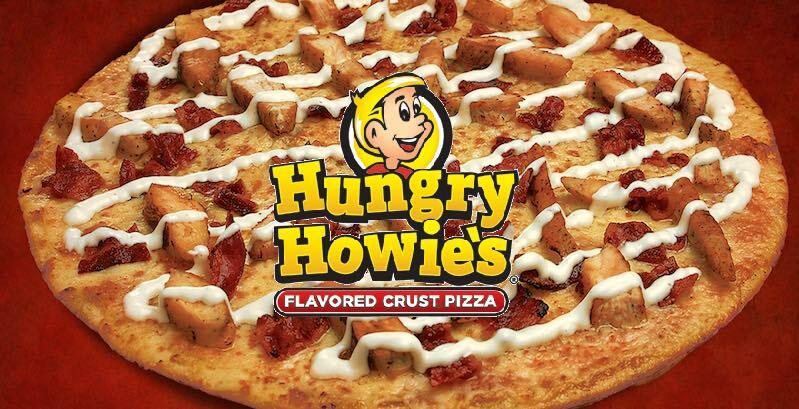 Hungry Howie’s Pizza has an annual revenue of around $280 million. This is one of the largest pizza chains in the country. After the great success of the franchising operation, the owners decided to open a distributing company which allowed them to have a certain amount of quality control over the products they sell to the customers. This helped a lot in maintaining the reputation of the food chain and maintaining the high quality of the food products. Today, the Hungry Howie’s Pizza is the 11th largest pizza chain in America and they are trying to expand themselves internationally in the coming future. If “Hungry Howie’s Menu” has some new updates do tell us and all the readers of this website.